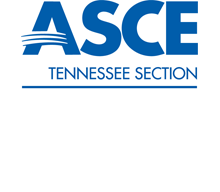 Before the Tennessee Section was formed in 1988, there were three sections in Tennessee: Tennessee Valley Section (East Tennessee), the Nashville Section, and the Mid-South Section (West Tennessee). The Sections then transitioned into Branches, and the Tennessee Section became the overarching entity for the State of Tennessee and the Branches. There are now five Branches and they are Chattanooga, Holston, Knoxville, Nashville, & West Tennessee. The Branch Presidents sit on the Section Board of Directors with the Section Officers.